‘Extremely Loud & Incredibly Close’ Trailer and Poster Are Here! 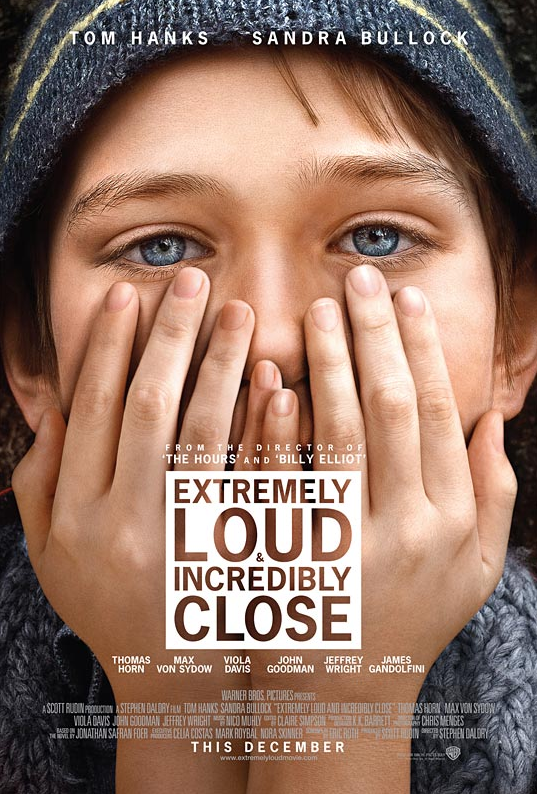 Tom Hanks, Sandra Bullock, Thomas Horn, James Gandolfini, Zoe Caldwell, Viola Davis, Jeffrey Wright, and Max von Sydow star in the upcoming drama, Extremely Loud & Incredibly Close. Talk about an outstanding cast. I will watch anything with Hanks or Bullock… and the rest of the cast is like the icing on the cake! Extremely Loud & Incredibly Close opens in theaters on Christmas Day (December 25th), will you be making this your holiday movie of choice?